- 1977 Rhodes Mark II - Suitcase 73 converted to a Stage w/ external PSU, recently rebuilt by Vintage Vibes. Owned by Mike Holober, this beautiful Rhodes is available for an additional rental cost - please contact us for details. - mid-60s Gretsch tom 8"X12"
- Yamaha Maple Custom Absolute 22" bass drum from New York Percussion Services; available for additional rental fee - please contact us for details. 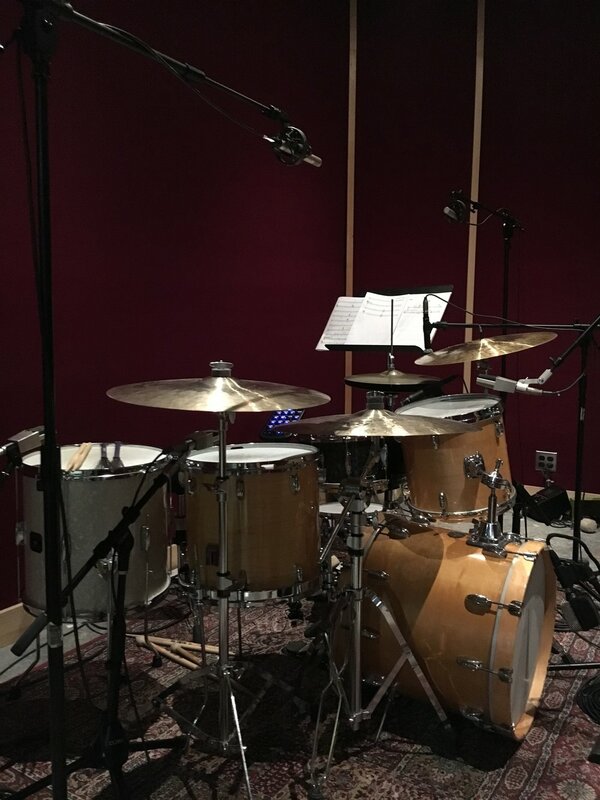 - Gretsch Catalina floor tom 14"X14"
Additionally, Oktaven Audio works together with New York Percussion Service to offer discounted rates on rentals. New York Percussion Service was founded by Jeffrey Irving and Joseph Tompkins to provide NYC-area percussionists with a full catalog of top-quality instruments deliverable for any performance situation. - Marshall JTM45 (1962 "Bluesbreaker") RI loaded with Weber AlNiCo "Bluedogs"